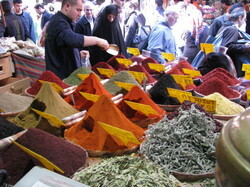 ‘Saffron’ comes from the Arabic ‘az-za’fran’, which in stems from a Semitic root meaning ‘to be/become yellow’. Via the mediaeval Latin – ‘safranum’ – the name spread to almost all European languages and many non European ones also. The word is recognisable in Hindi, Amharic, Finnish, Japanese, Hebrew and even Basque, to name but a few. 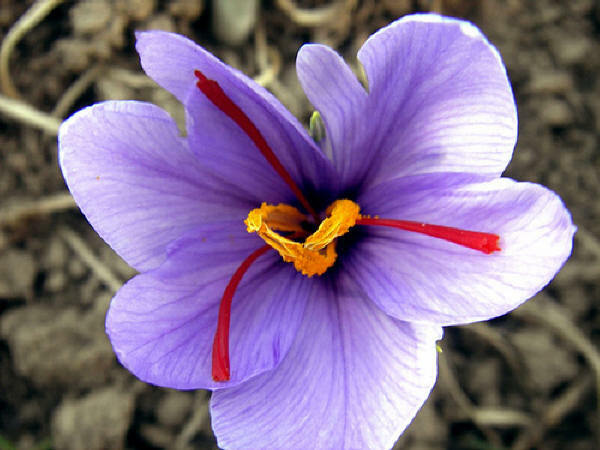 Saffron is the dried stigma of a particular autumn flowering crocus, which was probably first cultivated in the Bronze Age in or near Greece.